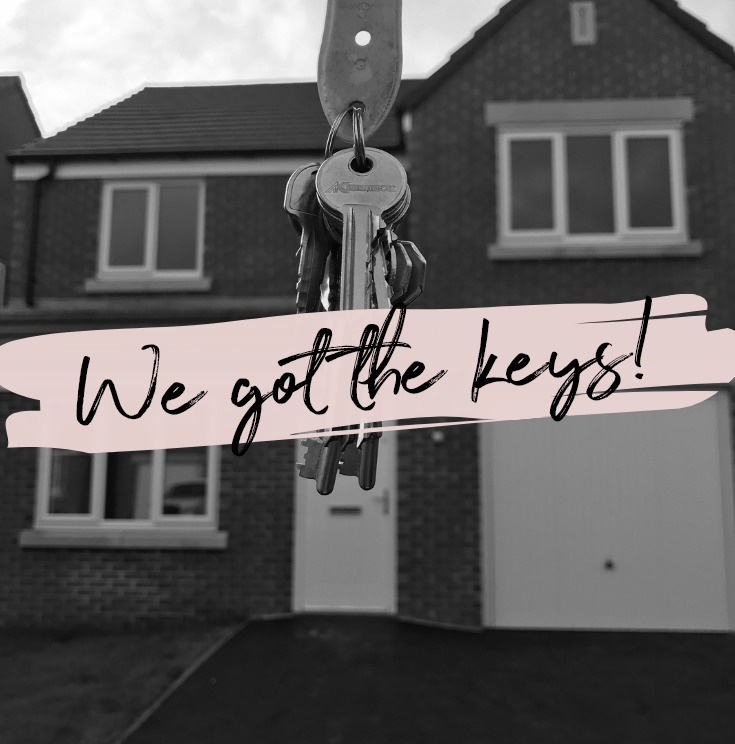 Sophie Ella and Me: We Got The Keys! We finally got the keys to our new house in February! We've been in for around seven weeks and I think we're just about settled in now. I'm writing this post a little later than anticipated, (especially as we've only recently got our internet sorted!) but I thought it's better late than never, as I really wanted to document this big milestone for us! We had been renting for the past five years. We both moved out of our parents' houses into a flat, a few months before Sophie arrived and since then have lived in two other houses! We then spent almost a year living with the in-laws waiting for this house to be built - so it's still quite surreal that we're finally in our very own house! It's even better than I could have ever imagined and despite the long wait, it has definitely been worth it so far. It's been lovely seeing all of our choices come together too. Although I think it's safe to say, we're definitely not in any rush to move house again anytime soon! The first few days were pretty hectic as you can imagine, with the carpet fitters and tilers in doing their thing but we are so pleased with what we've chosen. We were then able to start moving our furniture in, make a start on unpacking and the obligatory IKEA shop. In case you were wondering, we purchased some bedside tables, drawers for each of the girls' rooms, a dressing table and frames - so nothing too exciting! You may have seen I've been posting progress updates here and there over on my main Instagram @sophieellaandme, as well as my home account @emmalamberthome. Our next big project is the garden, which I'm hoping to document, so keep an eye out for the transformation photos in a few months' time! I can't wait to start sharing more interiors content again and I'm sure I'll do some room tours too, once they're completely finished.